* Homes over 2,500 square feet slightly more. Claim Your Special Offer Today! Living in the great desert southwest has its rewards but it also its risks! Special problems call for special measures… scorpions can be controlled! Dirty, Disease Carrying, Destructive, Despicable Rodents! 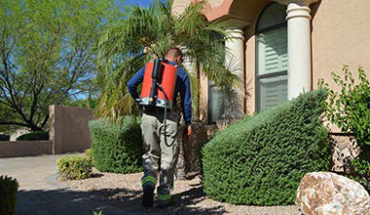 We’re on call 24/7 for pest emergencies with same day response! 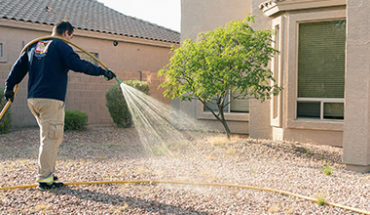 Includes: Inspection of home and property, crack & crevice treatment (dust), plant & lawn treatment (granules), microencapsulated power spray to foundation of home, patio & walkway edges, inside of perimeter wall, garage treatment including (2) glue boxes, interior treatment with natural spray. Homes larger than 2,500 square feet slightly more. Rodent Control Inspection – FREE! Includes: Inspection of home (interior, crawl spaces, garage, storage closets, etc.) and exterior of home (foundation, roof areas, landscaped areas, perimeter walls, AC units, pool equipment, etc.) 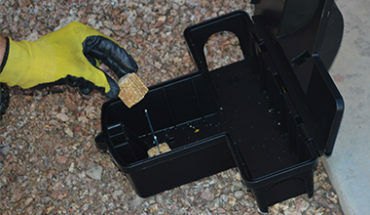 If rodent service is required (1) rodent bait station placed at no cost. Pre-emergent herbicide heavily applied to all hardscaped areas. Post-control (weed killer) applied to existing weeds. 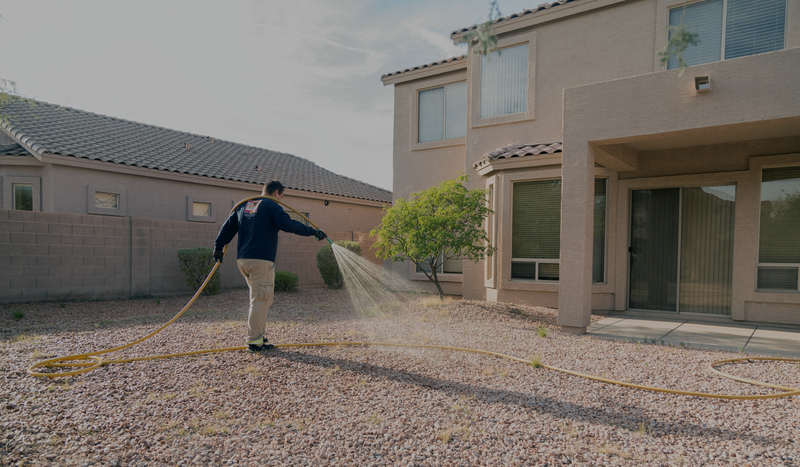 30-day follow up to eliminate any weeds that have germinated prior to initial service. Pricing and ($25-50) discount dependent on size of property and amount of existing weeds. an unwelcome rattlesnake – we respond same day.